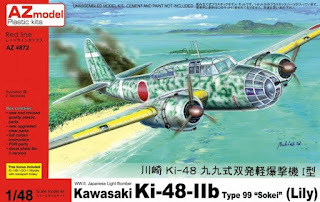 Further to my parting comment on 2 May about Summer kit releases correspondent Zegeye kindly informs me that Special Hobby are preparing a 1/72 release of the Tachikawa Ki-54 'Hickory' or Type 1 Twin-engined Advanced Trainer, a type brought into the news by the wresting (and I use that word deliberately) of a near intact survivor from its watery grave in Japan (there are surviving fuselages reported in storage at the Australian War Memorial and Beijing Aviation Museum). Good news to fill a gap but with mixed feelings as SH kits still seem to be limited run and limited availability, with the comcomitant effect of perhaps discouraging Japanese kit manufacturers from releasing a mainstream kit of the type. Details of the SH project are here. The only previous 1/72 Ki-54 kit that I'm aware of is the A+V resin offering (above), available in different versions and nicely realised by Aldo Chetcuti here, although AZ Models have also announced a future release, the status of which is unknown. 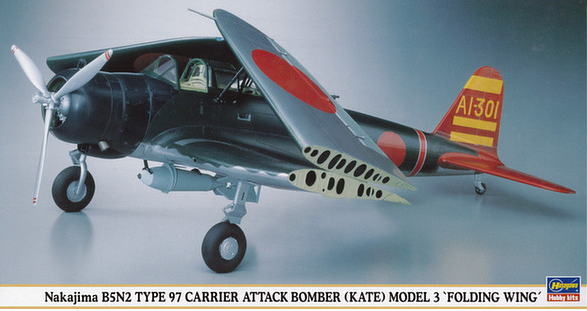 The type offers interesting modelling opportunities as in addition to ubiquitous Japanese military service as crew trainer, general transport and staff workhorse across the Japanese Empire, it was flown briefly by the post-war Gremlin Task Force in Indo-China, by the nascent Red Army of China Air Force (later Peoples Liberation Army Air Force - PLAAF) and by North Korea. A worthy addition to any kit manufacturer's catalogue. The series variants are variously reported online but the Hei was the transport version which could carry eight passengers with a small luggage compartment. The Ko was used for twin-engine pilot and navigator training with a single astrodome on the upper fuselage. 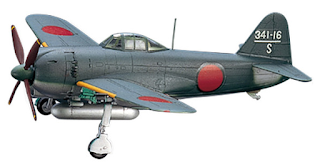 The Otsu was intended for crew training in bomb aiming, air gunnery and radio communications, distinguished by two dome turrets for 7.7mm weapons on the upper fuselage connected by a long canopy for the instructor to move between them. 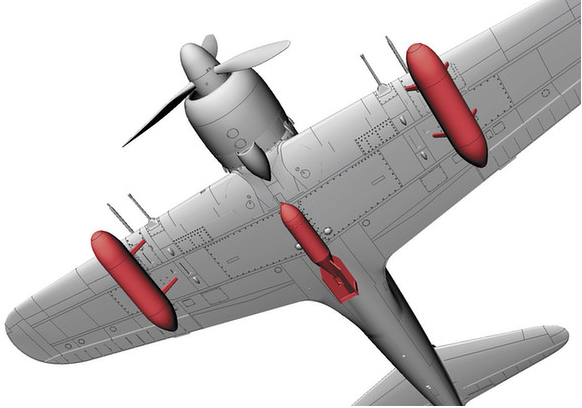 Fuselage side windows were also adapted for the operation of weapons and two sets of radio equipment could be fitted. 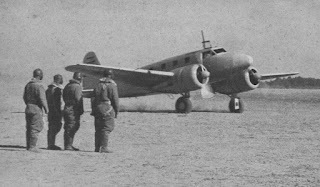 For bomb aimer training the usual load was 10 x 15kg but the aircraft could carry up to 800kg. 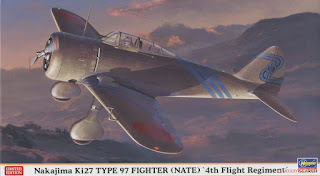 In a 1956 article series written in consultation with Japanese aviation industry and Koku Hombu veterans Richard M Bueschel refers to the Otsu with the designation Type 1 Operations Trainer. The Tei was reportedly configured as an anti-submarine patrol aircraft with provision for magnetic detection equipment, blind approach landing and the carriage of depth charges. Image credits: Heading photo via Wiki; A+V box image via Scalemates. Hasegawa's recent Limited Edition re-release of their Ginga kit # 02230 (above) is unusual in providing alternative engines and cowlings for the Type 11 or Type 16 variants. As far as I know all previous Hasegawa releases of this aircraft, bomber or nightfighter, have been for the Type 11 only but Hobby Search are showing two different box arts. Whether the art shown below represents an identical previous release that I've missed or the kit is being marketed with two different box arts I couldn't say - knowledgeable input welcome! 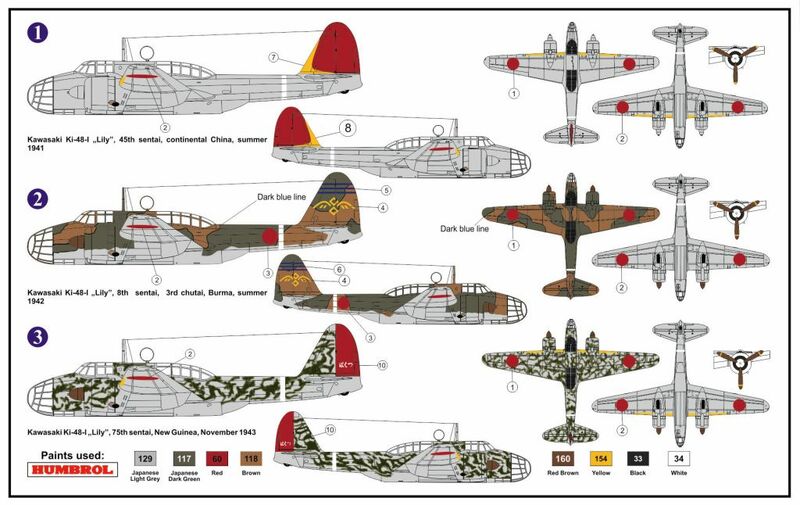 This latest kit provides parts and markings for three examples of the Kyokkou (極光 - Aurora or Northern Lights) nightfighter as operated by 302 Kokutai in the defence of mainland Japan. ヨD181 (YoD181 - note no hyphen) in yellow is a Type 16 of the 302 Kokutai's 2nd Chutai, armed with a single, oblique 30mm cannon, provided for in the kit by a white metal moulding. An additional sprue provides the engine and cowling parts for the Type 16. This aircraft, presumably manufactured by Kawanishi, has dark green painted cowlings, dark brown props and silver painted or natural metal under surfaces. The upper wing and fuselage hinomaru white borders have been painted over in dark green and this is well represented on the decals. ヨD181 was photographed post-war at Atsugi by James P Gallagher in a very worn condition with large patches of bare metal showing on the upper surfaces ('Meatballs and Dead Birds' pages 87-88, Stackpole Books, 2004). 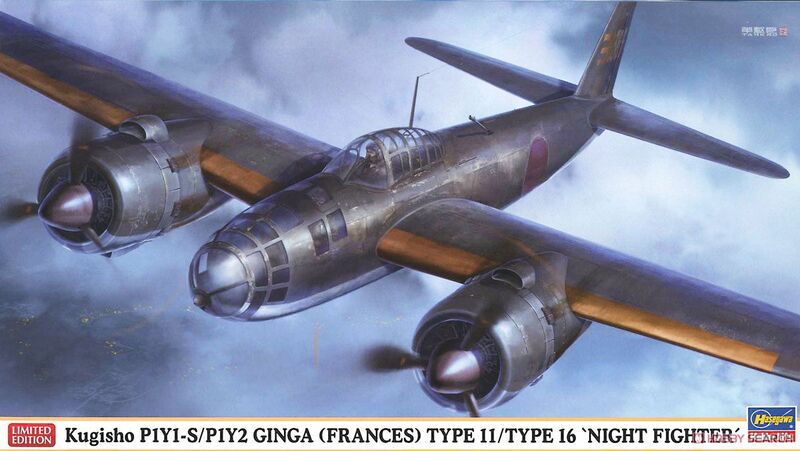 The same photographs appear on pages 52-53 and 56 of the FAOW Special Edition 'Navy Bomber (Ginga)' (Bunrindo Co. Ltd. 2000). The tail number was painted over a previous number '305'. 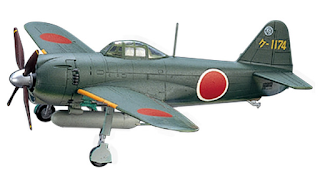 ヨD-161 in white is a Type 11 armed with twin, oblique 20mm cannon and equipped with radar, the antennae for which are provided on a photo-etch sheet. This aircraft also has natural metal under surfaces but the cowlings are black and the propeller spinners silver. 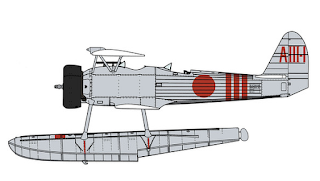 Only the upper wing hinomaru borders are painted over with white borders to the fuselage hinomaru. A photograph of ヨD-161 appears on page 54 of the FAOW Special Edition, although the location of the oblique armament is concealed by the position of the wing. 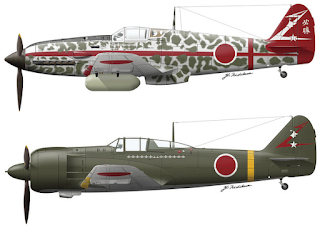 ヨD-176 in white is another Type 11 armed with twin, oblique 20mm cannon and displaying victory markings in the form of stylised cherry blossoms on the left rear fuselage, printed in yellow on the decal sheet. This aircraft has no radar and black cowlings with dark brown props and natural metal under surfaces. Both upper wing and fuselage hinomaru borders are painted over. 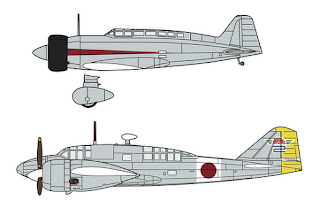 A photograph of ヨD-176 appears on page 74 of the FAOW Special Edition and on page 148 of the Koku-Fan Illustrated No.96 on 302 Ku (October 1997), although again the oblique armament is concealed by the position of the wing. None of the options are fitted with underwing droptanks which are not included in the kit anyway. 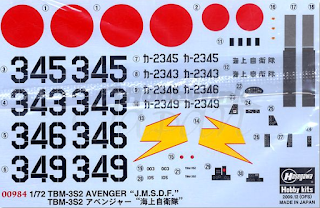 The decal sheet is of recent Hasegawa 'bright' type with the red printed almost as a dark pink and the yellow a bright 'lemon yellow' not really typical of the IJN orange-yellow. The facsimile above shows the colours darker than they really are. The kit retails for about £19 (approx US$25) direct from HLJ but as is often the way with Hasegawa limited editions is already showing there as back ordered. "One day in 2011 I ran across the book Warship Pictorial: USS Lexington CV-2 by Steve Wiper. I had a special reason to purchase it after just a moment of turning those pages and seeing these remarkable photos, most for the first time. The brief text and careful captions lent a little better understanding of my uncle, Frank Merrell, whose kid sister was my mother Lee. After he had drawn his first few months of pay as a seaman, he had saved enough to send her a beautiful pair of boots from San Diego, the first new shoes she had ever owned. She was sixteen then, and she told me she wore those boots every day all through the rest of high school, always kept them clean and the leather buffed. "He remembered my shoe size," she told me early in 2009, still relishing this. Not bad for a 20-year old rake with the world at his feet, remembering his kid sister among all the excitement, work, and turmoil of 1939. My mom died in June of 2009. I'm glad she told me about that. Mom’s family was from Pittsburg in deep East Texas. 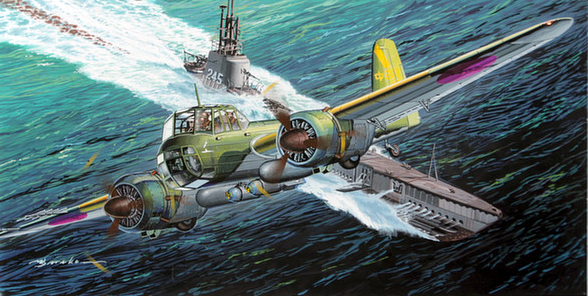 Her dad was a share-cropper and her mother chronically ill. Frank saw the Navy as a way out; math came naturally to him and he understood and appreciated machinery early on; through hard work and a succession of courses successfully undertaken, he qualified for carrier assignment. 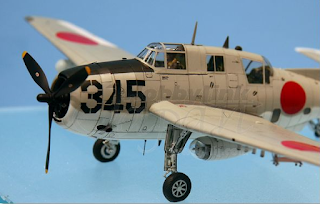 He wrote interesting and funny letters home, and his assignment in 1940 to Lexington, only the second US carrier built, in 1940, was a source of pride for all the family. "When Pearl Harbor was attacked, the Lexington was generally thought to be in harbor there, certainly so by the Merrells in Texas, and the worst was feared. Many weeks went by. There is a picture in Steve’s book, one of the many I hadn’t seen, that notes the ship at a dead stop with this caption: "In this image LEXINGTON has come to almost a complete stop about 450 miles to the east of Midway Island on 7 December 1941, with the news of the attack upon Pearl Harbor." Perhaps it was only by such vicissitudes that, though born so much later, I had the privilege to know Frank a little and be needled by him, to see him shoot an 82 while drinking six beers over eighteen on a hot day; and it was his fault that when I started smoking they had to be Pall Mall Reds, his brand. It was several weeks before a nondescript postcard finally arrived at my mom's place in Pittsburg, Texas. Among several boxes, Frank had checked the one next to: "Am well, letter to follow" – all he was allowed to send at the time. But it had his familiar spiky signature to prove it. It came on the same day that the Sears and Roebuck catalogue arrived, and my mother told me that her dad dropped all the other mail (she rescued the catalogue from the mud a little later, after all it was the most eagerly anticipated single piece of mail in America in 1942) and ran to the house, shouting, "We've heard from Frank! We've heard from Frank!" It sounds like a Frank Capra film, but I trust my mother and her memory on that one. "He used to write me occasionally, and tucked into one note was a black-and-white Polaroid he had taken from shore, writing on the bottom border, "USS Ranger off Yankee Station." It was his last carrier cruise, Vietnam the war this time, CV-61 rather than CV-2. Instead of bombing up SBDs and belting and loading .50 caliber in Grumman Wildcat fighters, he was an avionics technician on Vought A-7 Corsair attack jets. Frank would have been almost fifty then. It doesn't seem likely to me either, but he had retired once to civilian life, and it didn't take, and his return cost him rank. He said, "I'm older than you're supposed to be in this Navy." 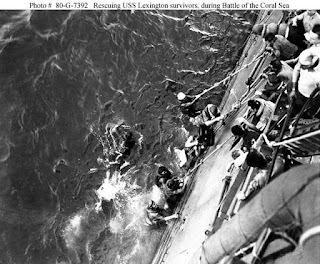 Having missed the Pearl Harbor attack and survived the Lexington's sinking at Coral Sea only six months later, that might have held more meaning than a teenager could realize. 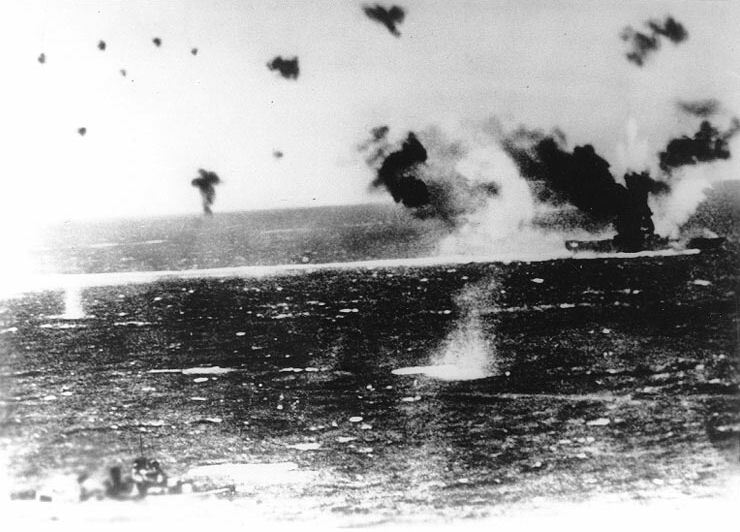 "Though the Lexington missed the carnage at Pearl Harbor, it would be sunk six months later at the Battle of the Coral Sea. He would never tell me about May 8, 1942, though as a young teenager I asked him about it. He was indirect. It was “a fine ship” he said, and he went on to explain that each ship had its own personality, its own health or malady, and could be a plum assignment or a dreaded one; his place in the Lexington’s complement as an aviation ordnanceman was still a source of pride. It was “a terrible day.” I had a couple more stupid questions. But though he had an exceptional memory, that bit was privileged: "Were they good? Hell, they sank our ship!" and the look that accompanied it closed my inquiries permanently. "I had either read or heard somewhere that some of the Lex's sailors visited the galley after personnel had received the order to abandon ship, and went over the side with scoops of strawberry ice cream in their ballcaps. I think I first heard this from my mother, but I’m not sure. Certainly I could see Frank doing that. Or I could before I came across certain photos for the first time in your book that suggest that any descent from that massive burning ship was too precarious for such foolishness. I honestly can’t remember now if I was told that he did this, or read of it somewhere in the accounts of that day, and came to ascribe it to him. "The knowledge of how easily history can be ‘personalized’ and otherwise corrupted is all too obvious the older I become. Unlike Frank, I’ve a poor memory; I wish I’d recorded more carefully some of those conversations, but Frank died in 1985 and my mother is gone now also. It’s one of the reasons I found the Warship Pictorial book so fascinating and valuable. Seeing those photographs of that terrible day, 69 years after the fact, moved me. 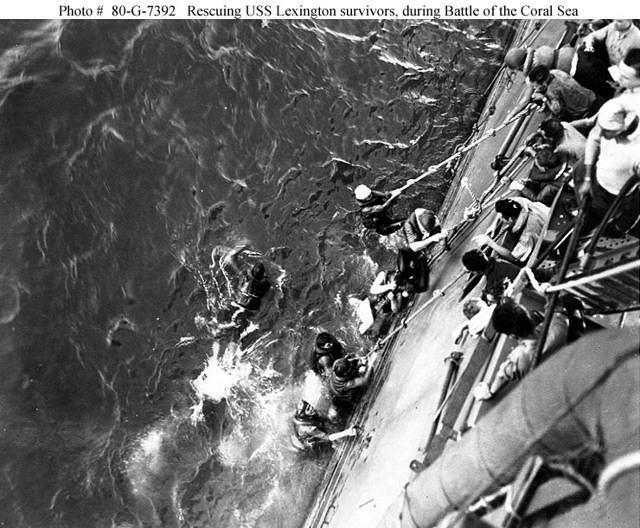 The bravery and sacrifice of those who came to their rescue in the destroyers MORRIS and HAMMANN, and in even smaller craft that day can only be appreciated through these photographs, and the efficiency of the ship’s captain, Ted Sherman, and his officers in getting so many off safely the more remarkable. While each one is only an instant in time from one angle, a photo doesn’t lie or forget or become clouded by sentiment. I regret that my mother didn’t get to see the book, as she died a year before I found it. She would have pored through it. "One thing that surprised me as I read was how small the ratio of officers was in ship’s complement. The photos that Steve discovered and presented for the first time showing the removal of the battleship-type turreted guns at Pearl for the sake of the smaller one-inch anti-aircraft weapons, accomplished under wartime duress and emergency, was of particular interest. It was completed just in time for the carrier to hurry off to its critical role in preventing the invasion of Port Moresby and thus to its fate. 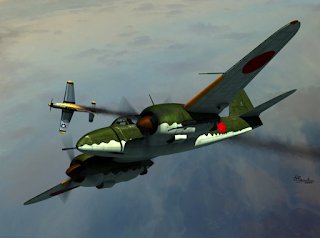 The guns would down several attacking Japanese aircraft, but could not prevail against a perfectly timed anvil attack, when torpedo bombers split into two groups and came from different directions. The photos were accompanied by a brilliant but workmanlike memo documenting the refit from the Commandant of the Pearl Harbor Naval Yard. That a task of such remarkable scope could be described in one closely-typed page - in a way that a layman could generally understand - gives insight into the quality of naval officers the Japanese would be up against. "What he was proudest of, I believe, was that he served so long "on the top floor" without getting killed. He was always alive to the constant danger of deck operations and had seen several men killed in routine peacetime operations due to accidents or fate. "It certainly concentrates the mind." Of course I thought Frank had made that up, but he was just well-read for a sea-dog. "Steve has written lots of books. The one I’ve mentioned was the 33rd Warship Pictorial, each covering a different ship, and all of them have preserved important images and facts that might have been otherwise lost; in doing so he and historians like him have served the memory of thousands of unique individuals, and those who want to keep that memory alive as the fuse burns. Thanks Steve. And thank you, Frank Merrell. You are remembered indeed. Didn’t your little sister remember those boots 70 years after you sent them? 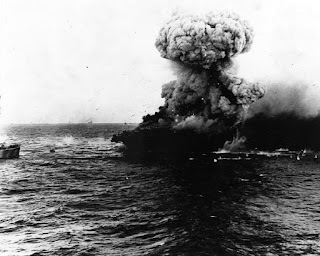 "May 8 marks 75 years since The Battle of the Coral Sea, when the issue was still very much in the balance, and years of sacrifice still to come for both sides." 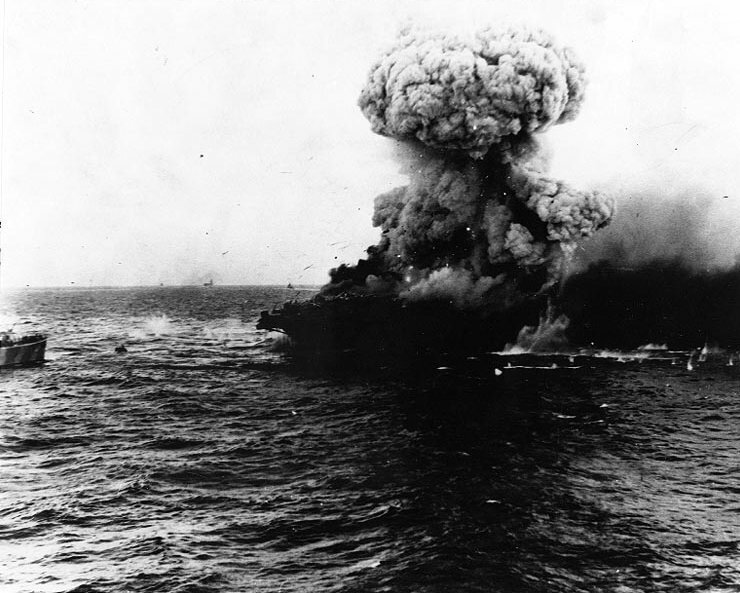 Image credit: USS Lexington under attack, photographed from a Japanese aircraft, public domain, source: Wiki; USS Lexington explosion Naval Historical Center via Mark Smith; USS Lexington survivors WWII History Images gallery via Mark Smith. 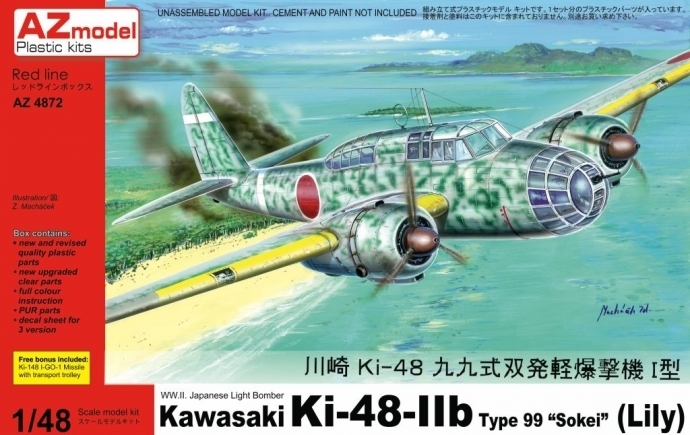 In 1/72 scale the second variant of the new Sword Kawasaki Ki-102 kit is due out this month, the Ko version with the projecting nose cannon. 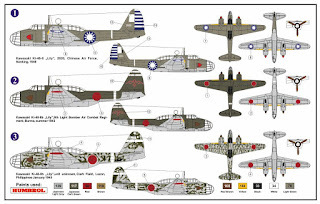 Decals are offered for two subjects (as shown below), one a Japanese Army "plain Jane" without unit insignia and the other a captured example in US markings, but the kit offers extensive "what if" potential too. Price is 350 Kč or approximately €13 (about £11) although prices for the Otsu on eBay appear to be around £15 + p&p. An in box review of the Otsu and some colour discussion shortly . . . 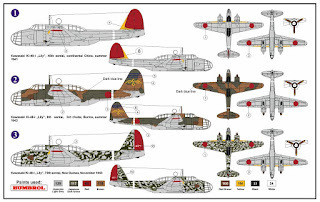 The Ki-48-I kit (above) has decals for a red-tailed 45 Hiko Sentai aircraft in China during 1941, an 8 Hiko Sentai, 3rd Chutai aircraft operating in Burma during 1942 in three-tone camouflage and a mottled 75 Hiko Sentai aircraft in the New Guinea theatre in late 1943. These options are well chosen to display three different finishes but the colour call outs for Humbrol paints are extraordinary and as is now the way with potato chips no little blue bag of salt is included for the pinch to be taken. 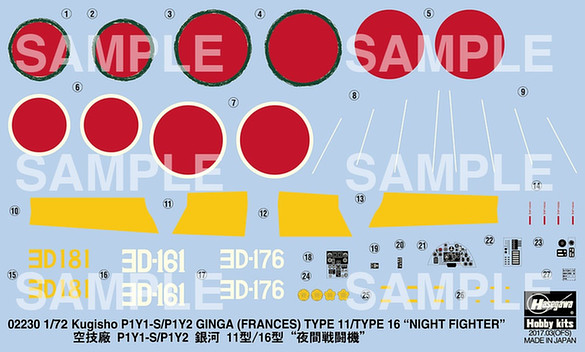 Sprue shots are available at HLJ. 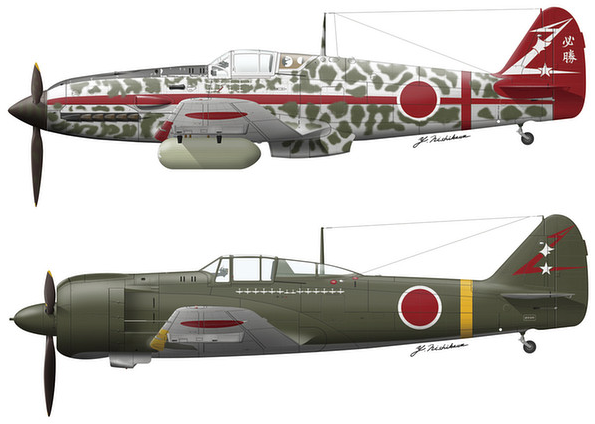 The Ki-48-II kit (above) has decals for a captured example in Chinese Nationalist markings during 1946, a dark green aircraft of 8 Hiko Sentai in Burma during 1943 and a mottled aircraft "unit unknown" (sic) in the Philippines in January 1945, which is actually from 208 Hiko Sentai and displaying that unit's second generation marking device adopted after May 1944. 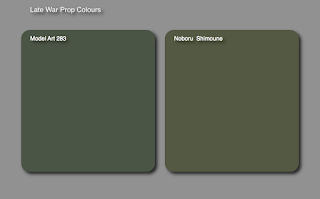 Again good choices but colour call outs as for the previous kit, citing Humbrol paints only. 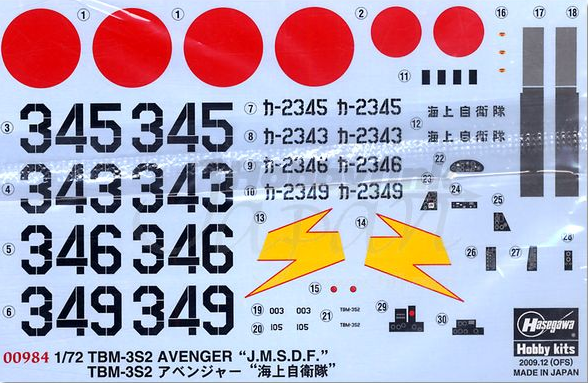 Sprue shots are available at HLJ. It is always nice to see an unusual Chinese aircraft kitted and this month Azur will be releasing a 1/72 Northrop Gamma 2E "Bomber in China" (above) featuring Nationalist Chinese markings. Price is uncertain but probably about €30 in Europe. Have I missed anything, kitwise? Please let me know, thanks! Image credits:- © 2017 Sword, AZ Models and Azur (via HLJ). 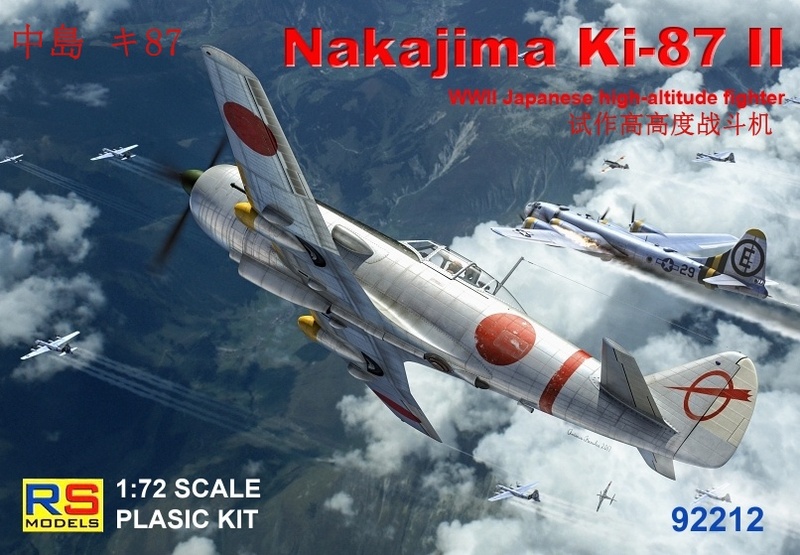 In other news, more Japanese subject kits are planned for release this summer. Most seem to be re-releases of older kits in new presentations. 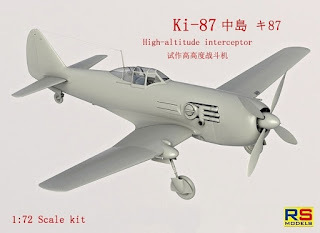 In 1/72 scale Hasegawa will release a combo 'Recce Set' kit of their Mitsubishi Ki-15-I Type 97 'Babs' and Ki-46-II/III Type 100 Command Reconnaissance Aircraft 'Dinah' (above) which will retail direct from Japan for about £23 or US$29. For afficienados of post-war Japanese aircraft their once much sought after 1/72 Grumman Avenger TBM-3S2 is re-released in its striking Japanese Marine Self Defence Force scheme with decals for four different aircraft. It is listed as June re-stock and will retail direct from Japan for about £30 or US$38. Another combo kit for modern Japanese subjects in 1/72 is the F-4EJ Kai Super Phantom and RF-4E Phantom II Hyakuri Special 2016. This set will retail direct for about £31 or US$40. 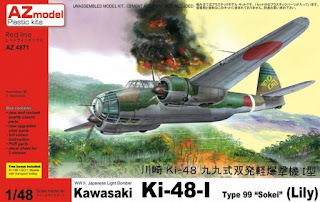 In 1/48 scale another combo kit features the Kawasaki Ki-61-I Tei Type 3 Fighter Hien and Ki-100-I Otsu Type 5 Fighter presented in 244 Hiko Sentai schemes attributed to the Sentai Commander Major Kobayashi, together with a fine metal figure of a pilot in the bulky winter flying suit. About £32 or US$41 will get you this set direct from Japan. In the same scale the Nakajima E8N1/E8N2 Type 95 Reconnaissance Seaplane Model 1/Model 2 is re-released in Battleship Yamato colour scheme. It will retail direct for about £22 or US$27. Also in 1/48 scale and due for release this month the Nakajima Ki-27 Type 97 Fighter gets yet another outing in colourful 4 Hiko Sentai guise with two markings options for about £18 or US$22. 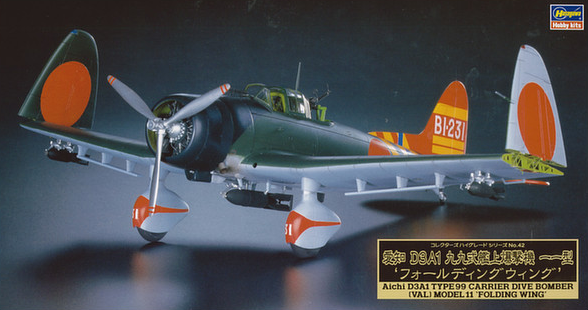 Due for re-stocking in July are the 1/48 scale Aichi D3A Type 99 Carrier Bomber 'Val' with folding wings at £22 or US$28 and Nakajima B5N2 Type 97 'Kate' Bomber with folding wings at £19.56 or US$25 direct. 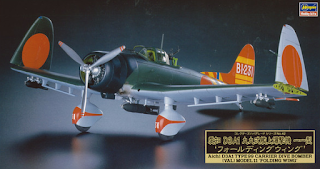 In 1/32 scale there is the Mitsubishi A6M7 Zero Fighter Model 62 presented as aircraft YoD-127 of the 302nd Kokutai with underwing drop tanks and central bomb. This kit will retail direct for about £30 or US$38. 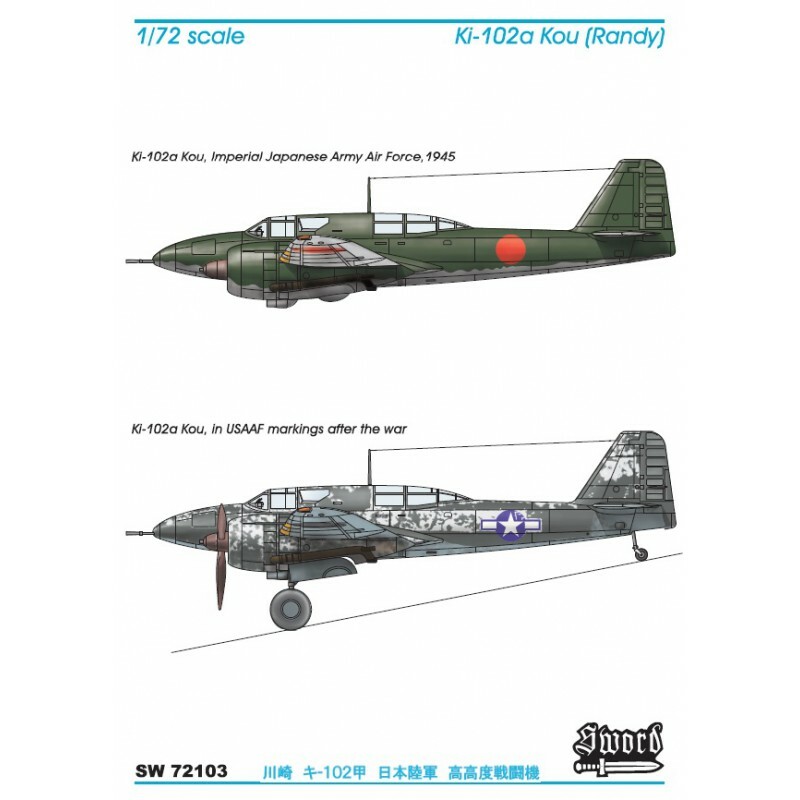 Platz kits often get overlooked but they have two new 1/72 scale kits of potential interest for JASDF modellers. 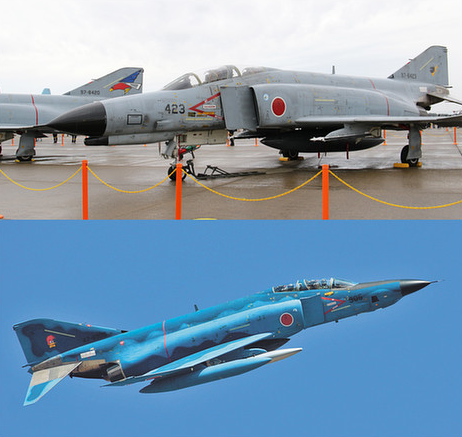 Their attractive looking JASDF T-1B jet training aircraft due for release this month is reportedly "produced with the latest in mold technology to reproduce the real thing as accurately as possible! 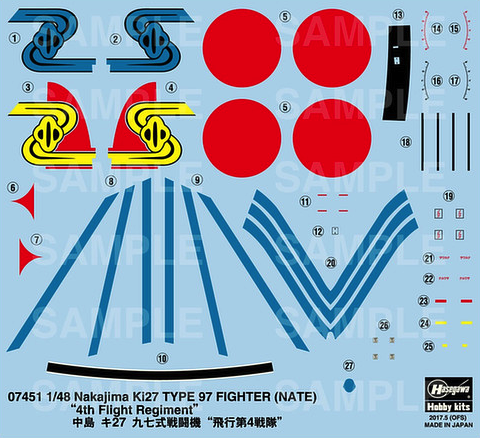 While the number of parts has been reduced for ease of assembly, no detail has been spared, including precise panel lining. Includes an external tank that can be fitted under the main wing, and also includes decals by Cartograf." 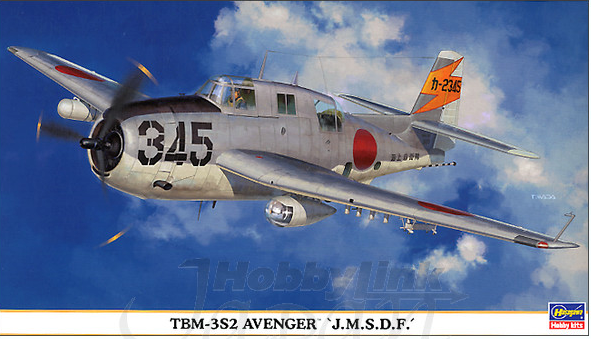 This one will probably put the old Hasegawa kit to bed. About £18 or US$20.50 direct. Also this month Platz are also re-releasing their rather nice Jaguar-like Mitsubishi T-2 kit in the guise of 'T-2 Supersonic Speed Upper Training Aircraft Late' (presumably 'upper training' means advanced training?). 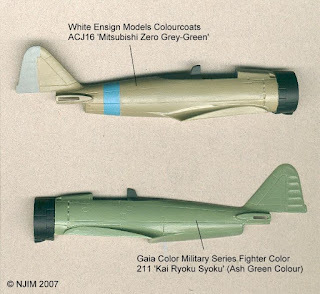 This kit of the aircraft is reported to be "precisely molded to reproduce the real thing as closely as possible, and includes its Vulcan artillery. 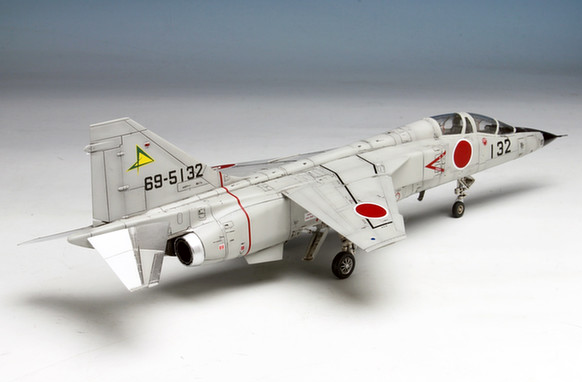 Comes with decals for four markings variations". It will retail for about £16 or US$20.50 direct. Looks good in light grey. 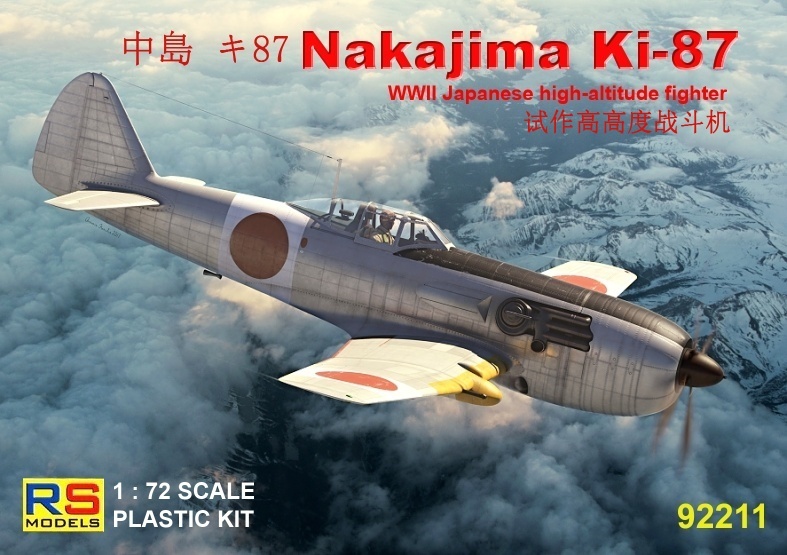 In July Aoshima are set to re-release their neat Kawanishi N1K-J Type 11 Ko and Otsu Shiden fighters in 1/72 scale, likely with the type of trestle and working platform accessories included with their recent Hien kits. They will retail direct for about £11 or US$13. 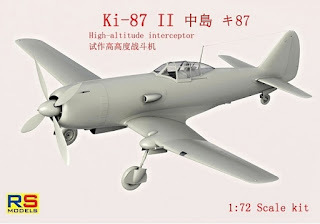 Alas, still no 1/72 Ki-21, Ki-54, A6M2-K, scaled down Fine Molds Ki-10 or 1/48 scale Ki-36/55! Still, musn't grumble, eh? 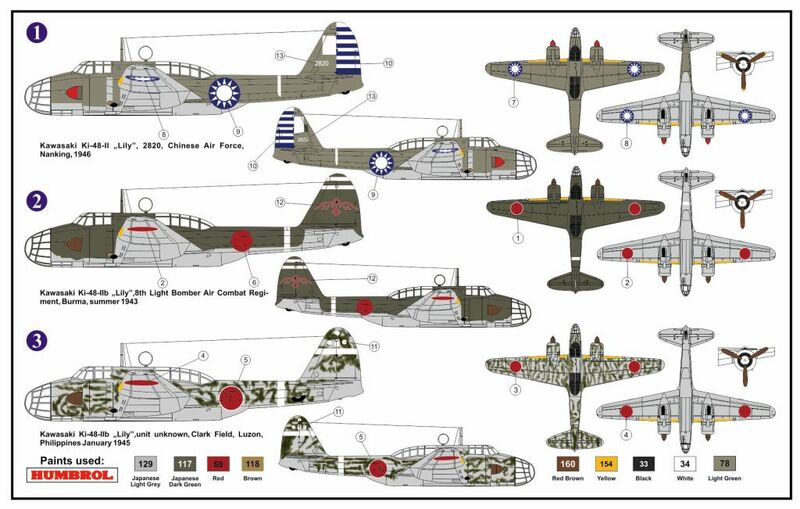 Due out in July and excellently timed for the new Mushroom Model Publications White Series book on Japanese Anti-Submarine Aircraft in the Pacific War by Ryusuke Ishiguro and Tadeusz Januszewski, is a new release of Fine Molds 1/72 kit of the Land-Based Anti-Submarine Patrol Bomber Aircraft Q1W1 Tokai 'Lorna'. It appears to have new box art but whether the original kit has been modified or added to in any way is uncertain. 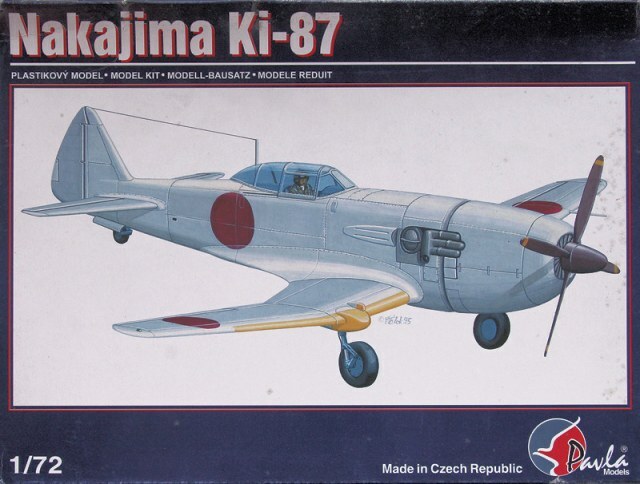 Price direct from Japan is approximately £15 or US$19. 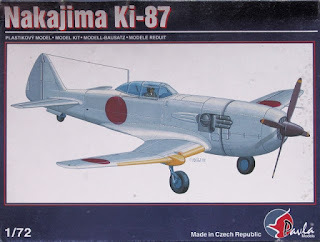 This kit seems to seldom get modelled but a fine build by Mr Sugar from Japan was posted here in June 2011 and I look forward to updating that blog's information after the release of the new book.